Project by Tobias Tommila: exterior view.
. Project by Tobias Tommila: interior view. 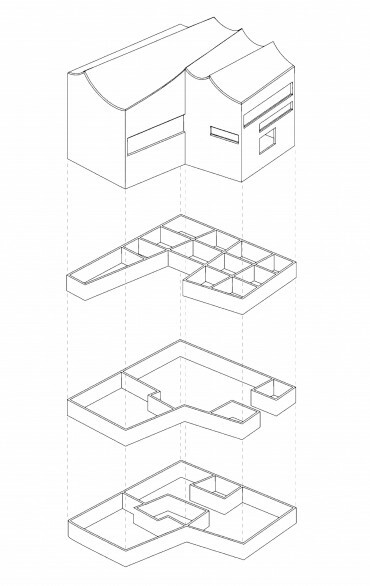 Project by Tobias Tommila: axonometric drawing. Project by Tobias Tommila: model. The quality of Tobias Tommila’s project is the tfocus on the expression and identity of a cinema.The program of the “Cineteca Svizzera” is a heterogeneous mix of functions with two cinema-halls which are not more than dark and closed rooms. 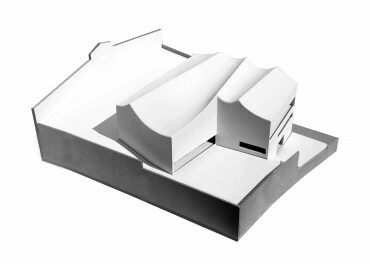 Nevertheless the expressive shape of the roof which is becoming apart also in the interior is able to formulate the identity of a particular building. 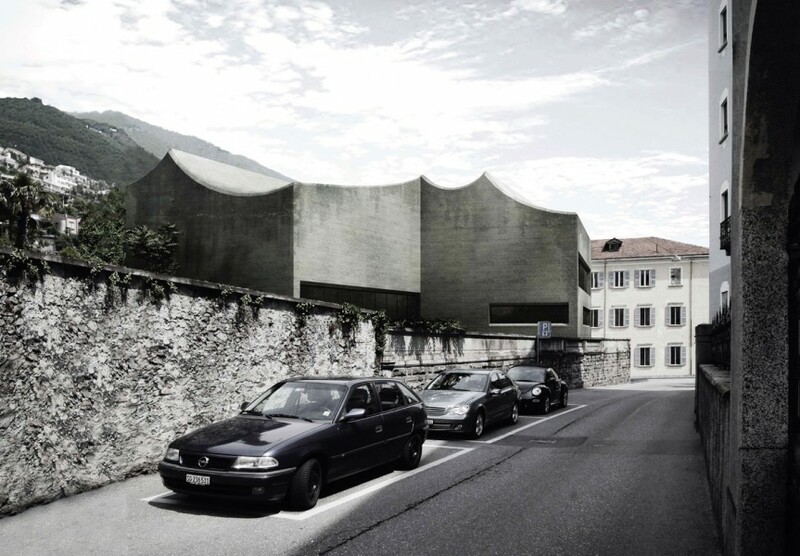 Even the relation of the iconic appearance in contrast to the historic city offers a dialogue, because the permanent and archaic materialization with a rough texture concrete façade and roof corresponds to the typical buildings where the skin is completely of stone. Inside this massive volume three parts organize the layout: there here is one structural floor hosting the small service rooms spanning free of pillars over the entrance and exhibition space while at the same time carrying the main cinema hall above. Entering the building the introverted entrance and exhibition space is activated by a baroque scenery of light penetrating through the corners of the structural floor. 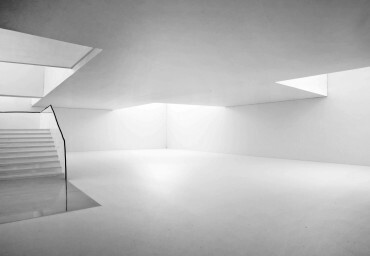 The visitor cannot identify the source of light but its reflection in the space. The circulation is similar to the light penetrating the structural floor. Arriving on the top floor the orientation suddenly changes towards the outside: the restaurant and the cinema offer a direct connection to the garden and spectacular view to the city. In contrast to other proposals, the project manages to accentuate and to unify simultaneously the different parts of the building: the generous but introverted entrance, the structural service floor and the open and transparent top floor is consistent also in terms of movement of people, of the function of the space and even of the structure of the whole.